Thompson Tavern in Dover is opening a second restaurant, Thompson’s 2nd Alarm Family Style Italian Smokehouse is coming soon. 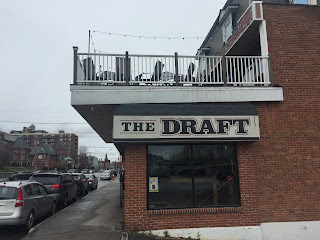 NH Reviews spoke to the principal, Kim Laughton, who shared that the property owner approached her regarding the available space in the back of her current restaurant, Thompson Tavern. Given that the business at her sports bar had exploded, she jumped at the chance. 2nd Alarm will focus on Italian dishes as well as regular entrees along with specials every night from their smoker. The first part of the name comes from Ms. Laughton’s maiden name, Thompson. The family has been involved with the local fire department which is the reason for the 2nd Alarm component. We also understand that they are borrowing some items from the Woodman Museum to go along with their theme including fire buckets. There is the potential for a deck at some point in the future to be determined, stay tuned. Kim hopes to be up and running by early August pending state inspections and finishing up last minute details. We wish her well with the new business.